If you can imagine a family based appliance repair business that combines down-home personality, with excellence in technical expertise, then Oakes Appliance is your service repair company for the Fort Mill area. Oakes Appliance repairs, and refrigeration repair all makes and models of appliances and can be at your door the same day, if you call before 12 noon for an appointment. Oakes Appliance is ready to serve you Monday through Friday with honest, reasonable, and reliable service and care. We will get you up and running in no time! At Oakes Appliance, we are committed to providing you with the highest level of customer service possible. Our technicians arrive on time, in uniform, and are fully prepared to deliver expert diagnostics and repair. Professional honest service is “Our Guarantee”! 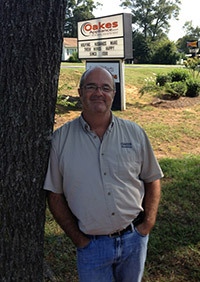 Oakes Appliance is the premier company to resolve all your appliance needs in the Fort Mill area. We have a friendly approach and strong commitment to family values, honesty, reasonable and reliable service and have been providing that for over 25 years! We are the only company that offers a 6 month warranty on parts and labor. Oakes Appliance offers “Do It Yourself” parts as well as “Service Repair”. 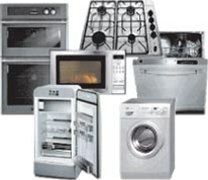 We have Appliance Parts Pros available and ready to assist you with your appliance parts needs. Oakes Appliance offers “Price Match”! Our Appliance Parts Pros will try to match or beat any “Over the Counter” and “Special Order” appliance parts price from anywhere! We only offer O.E.M. (original equipment manufacturer) appliance parts. Our store hours are 7:30am – 5:00pm for your convenience.